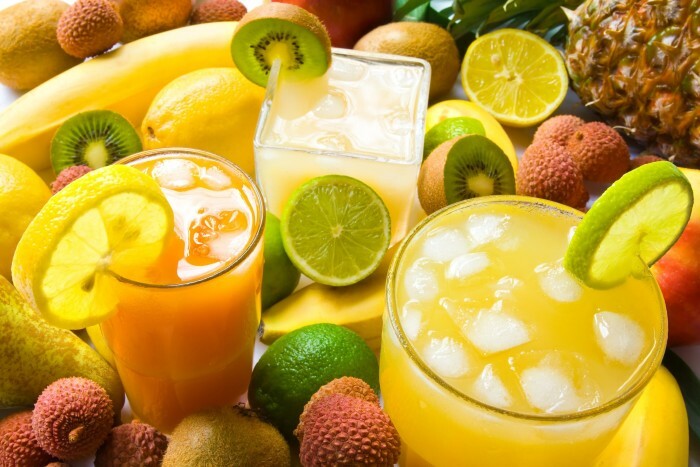 If you really like to lose some centimeters especially around your belly before you put on your bikinis, try this 3 drinks that would make your belly flat. This is a great drink that refreshes us in summer but is also a good ally in the fight against body fats. It helps our body to digest fats better so food like hamburgers and steaks digest quickly so it lowers the stomach distention. Make the mint tea at night, leave it to cool itself and then put it in the fridge. Refresh yourself in the morning with sugar-free homemade mint ice tea. Put the pineapple in a blender, add a bit of cold water and you get a drink with the taste of the best summer vacation. This drink contains ingredients that burn the fats, and if you add just a teaspoon of linseed you get the right thing for your body. The linseed contains healthy fat acids which help burn the fats. The pineapple contains bromelain, an extract that degrades proteins so it helps digestion and distention. This list could not be complete unless the King of all the diet drinks is not there – the incredible green tea. By consuming it regularly, you will reduce the risk of cancer and heart diseases and you will degrade the fat in the stomach with the antioxidants that the tea contains. If you drink a cup of green tea before training, the antioxidants will help you burn the fats during aerobic exercises. Next post: What Will Happen To Your Body When You Stop Drinking Diet Soda?